Is It Cheaper To Rekey Or Replace Locks? Often time businesses will resort to change the locks on the whole building, which can get really expensive when you have lots of exterior doors. Depending on the type of locks you have on your business this price tag could potentially be hundreds of dollars, taking into account dead bolts and handle locks on each door. 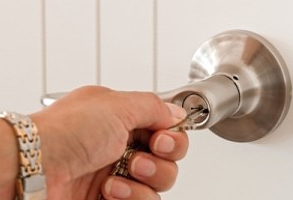 Instead of replacing perfectly good locks, you might want to consider just rekeying locks. For those not familiar with the practice of lock re-keying, it is simply a process by which you change the internal pins in the lock cylinder to be matched up to a differently cut key. Rekeying is the process of changing the cylinder so that existing keys will no longer be able open the lock. The process allows you to regain control over room security. You can leave the room open while the cylinder is removed for the re-keying. The process of rekeying should take only a few minutes to complete. A new key will be created to match the newly rekeyed lock. when the lock has been re-keyed, you should safeguard given a copy of that key. Rekeying is a cheaper alternative to buying new locks because you will continue re-using the existing door lock. Rekeying only changes the interior cylinder of the lock. Lock rekeying requires special hardware since you are modifying the internal cylinder. 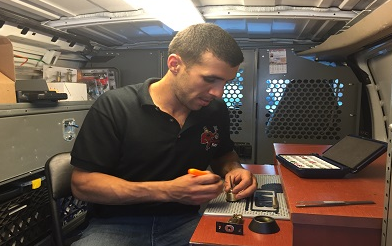 A locksmith will be able to re-key the lock for you. Locksmith will also be able to make multiple copies. Locksmiths have specialized equipment that can be used to rekey and make a new key. Buying new locks is an alternative to rekeying. Anybody can remove and install new locks on a door. Usually you only need the screwdriver to remove old lock and install new. Unlike rekeying, installing new ones doesn’t require any special equipment. The process of re-keying a lock is not quick and easy the first time you do it, but by no means is it impossible to understand. Once you have successfully completed your first lock re-key you should be able to get through the following locks much quicker and by doing so it will save you time and money. One other option would be to hire a local locksmith to do your lock re-keying for you. locksmith will obviously charge you for their service; however, it will still be much cheaper than completely replacing all of your locks, not to mention a locksmith can re-key a lock much quicker than you can. So, next time you need to update your locks at your home or business consider lock re-keying rather than complete lock replacement. This way you can use the money you saved to increase your businesses security in other areas. The disadvantage of buying new locks is you can install a new one that might be different or smaller than the original locks. If your door has been painted and the new one is smaller, there will be-unpainted area showing. Locks are graded and the higher grades are more difficult to break into. If you buy new locks you may be replacing a higher grade with a lower grade thus making the room more vulnerable to break-ins. In case you are not handy when doing the repair nor have the time. changing your lock might not be a viable option for you. The locksmith can install for you. Re-keying is usually much cheaper than buying new locks. In case you have the room that frequently changes occupancy, then you should consider rekeying instead of changing the locks. Re-keying allows you to have lock changed to match another for a single key can be used in both. Rekeying the lock has its benefits over buying new locks. It;s usually cheaper and quicker to re-key a lock instead of uninstalling the existing lock and install a new lock. Regardless of which option you choose; A locksmith can aid you.